US candy store chain Lolli & Pops unveiled plans for its facial recognition-enabled, VIP customer experience this month. The Intel-developed tech utilizes computer vision to recognize loyal customers (who have enough of a sweet tooth to register their faces beforehand) when they enter the store. Sales associates can then view that customer’s preferences and past purchases to make recommendations, and also see if that customer has any allergies. The program will be introduced in multiple stores throughout 2018. 2018’s most meaningful interface will be… your face! It was only five years ago that Apple released its Touch ID feature, making fingerprint technology mainstream. Now, having to physically touch something seems soooo inconvenient. Why can’t you just be recognized automatically? So, if you’re thinking about deploying facial recognition, use this example to help inspire potential use cases. We’ve seen it as a tool for convenience (JetBlue’s & China Southern Airlines’ boarding pass replacement), security (unlocking the iPhoneX), payment (KFC China’s Smile to Pay), entertainment (Star Citizen’s facially responsive video game avatars) and now customer service (Lolli & Pops’ VIP program). One to discuss with your colleagues: how will facial recognition help you delight consumers in 2018? 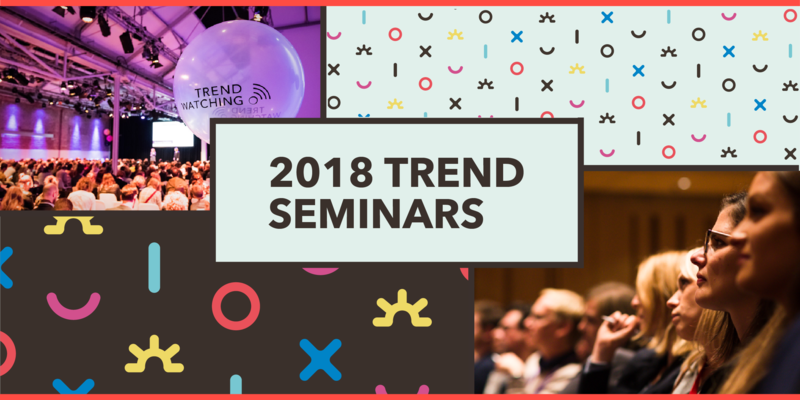 Our 2018 Trend Seminars are coming up, fast. Amsterdam has sold out, and over 250 leading brands and agencies have secured their tickets for Stockholm, Singapore, London and New York.